Pests include cockroaches, bed bugs, flies, mosquito, ants, mice, rodents, rats, etc. Varna Enterprise, one of the leading pest control company in India has extensive knowledge, advanced technology and training to attack any pests at hospitals, hotels, homes, office establishments etc. will break the pest lifecycle to help control unwanted invaders in the present and future. 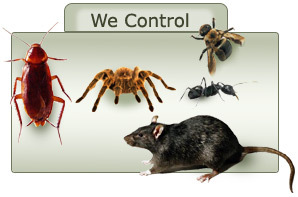 We have been providing our customers with quality pest control service under different cases, so no matter what type of pests may be lurking in your premises, we will help to terminate their complete activities. Usually, not all pest problems are the same, our experts are trained to identify and treat the root of your particular pest problem. Upon thorough inspection of the premises, our experts will create a customized treatment plan that effectively targets pest problems exactly where they appear in your premises – both inside and out, all year long. You can trust our pest control experts to use the most responsible means of treatment application to effectively curb the pest activities. We do chemical and herbal pest management services within Bangalore, Mysore, Bellary, Hosur and surrounding areas as of now. Call the specalized exterminators now! If you are looking for anti-termite solutions, please visit - Anti -Termite Treatment. "Varna Enterprises is one of the best service providers in Bangalore ". The reason for this exclamation is that I had found this website on Google search and contacted one Mr. Rajinikanth to find out some details and services they could provide to control pests. It so happened that his way of explanation was so good that I got convinced at once and informed my parents about it. When my dad contacted them they came with in no matter of time and did the service which was very appreciable by my family. We were very pleased by their sincere duty and prompt response. CUSTOMERS PLEASE NOTE: Please stay with pest operators throughout the treatment and take responsibilties for your valuables and belongings. Company will not be responsible if you miss any belongings at the premise. Kindly Co-operate and help us to serve you better.